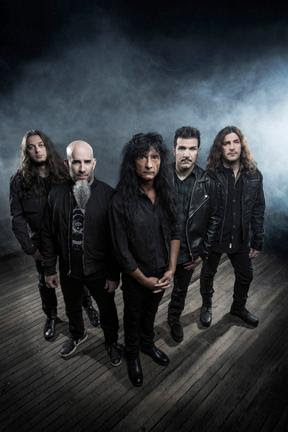 ANTHRAX'S CHARLIE BENANTE TALKS ABOUT THE FILMING OF THE UPCOMING DVD, "KINGS AMONG SCOTLAND"
Multi-Grammy nominated thrash icons Anthrax will see the band's long-awaited live-in-concert DVD, "Kings Among Scotland," released on April 27th (Megaforce). But before that, the band's Charlie Benante has just posted a video clip where he talks about the filming of the live set, the decision to film in Scotland, and the challenge of playing some of the songs live for the first time ever. Check out the clip here: https://youtu.be/nHW5_f6jBWE.